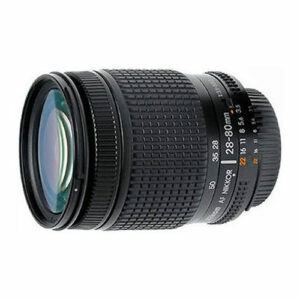 I bought this lens for the equivalent of about US$50. I had read a couple of ancient reviews that claimed it is a surprisingly sharp lens for the low price, and they weren’t wrong. This lens is REALLY sharp – not professional sharp, but very sharp for an amateur photographer. Also, the lens is very light compared to my other mid-range zoom lenses, so it eases the weight burden when I’m hiking or carting lots of camera equipment around. The lens is very plastic and does not have the heft of many other metal-built Nikon lenses, but don’t be fooled by the light weight – this lens punches far above its weight class. All the shots I’ve taken have left me smiling at the sharp and nice contrast images – an incredible bargain and instant new walkabout favourite lens for me. Buy this lens if you need a mid-range zoom – you wont regret it. A secret cheap Nikon gem.